Autonomia is a group of thinkers and social activists who originated from Italian civil war in 1970’s. They proposed the modern capitalism analysis which was different from 19th and 20th century capitalism. The writer analyzes a modern labor status by referring it to people from all walks of life, especially freelances who work on arts or creative fields, not blue-collar laborers in a general sense. 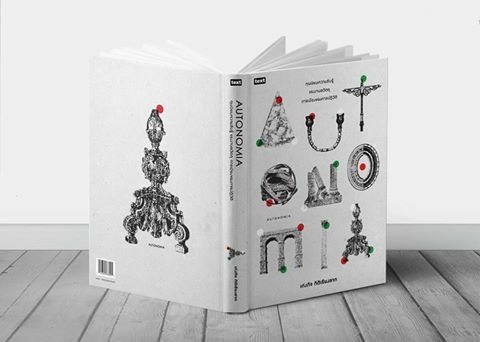 The book cover shows variation of labor society by mixing many elements to be a representative of Italians and so the word A U T O N O M I A can be read, then.